Perfect for school or the weekend, these classic Girls Crewneck T-Shirts are an everyday must have. 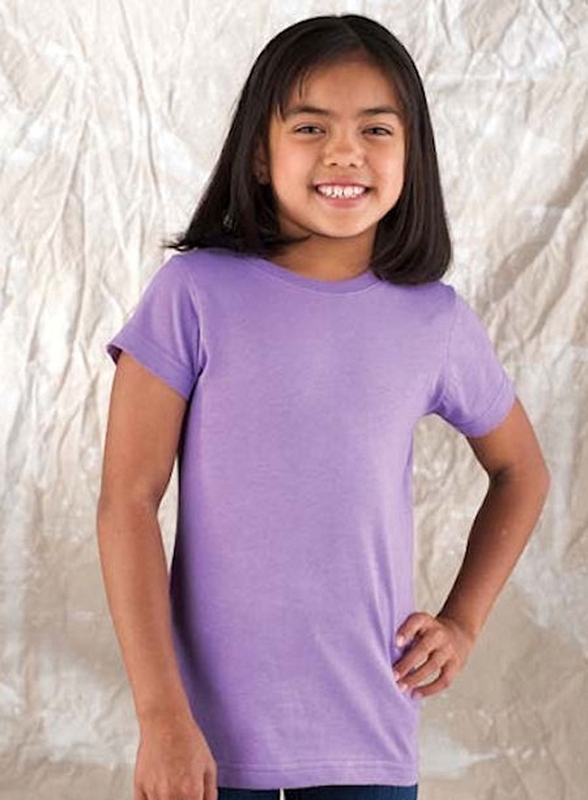 Long length short sleeve t-shirts for girls feature longer length for a girly look that keeps up with today’s style. These blank girls t-shirts are perfect if you are into crafting, personalizing or decorating t-shirts, or they look great layered or worn as a plain t-shirt. These fitted t-shirts come in over 30 fashionable colors to match her school, team, band or favorite pair of jeans! Q: What size does a small and xsmall fit? 7/8? 9/10?